Children just love our collections of stylish eyewear from SuperDry, Rayban, O’Neill, Basebox, Rockstar, Sunoptics and iWear. 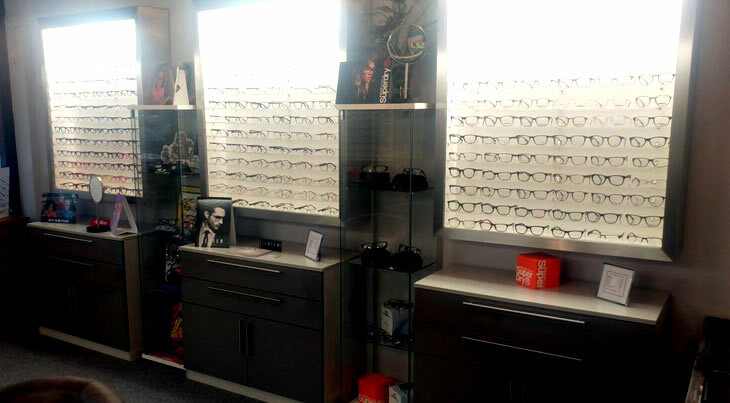 As the only practice in Radcliffe with an owner-optician, Martyn Allen Opticians can guarantee that you will always see the same optometrist at every appointment. This continuity of service allows us to build up a professional relationship with you which helps us understand your individual requirements – and you will feel more relaxed knowing who you are due to see for every appointment. If you don’t want to spend a lot on your spectacles, you don’t have to. Our frames start at a very reasonable £25. We stock amazing brands for children including Frozen, Marvel, Minions and Justice League, to name just a few. We have collections from Radley, Guess, Hugo Boss, Versace, Dolce&Gabanna, Rayban, SuperDry and O’Neill. We don’t bring in locums or agency optometrists, so you’re guaranteed continuation with the same optician every visit. Clients who are eligible for FREE NHS funded appointments or help with their costs can be seen here. We are MECS accredited, and so are required to see patients on behalf of local GPs and pharmacists, who present with recent onset eye problems. 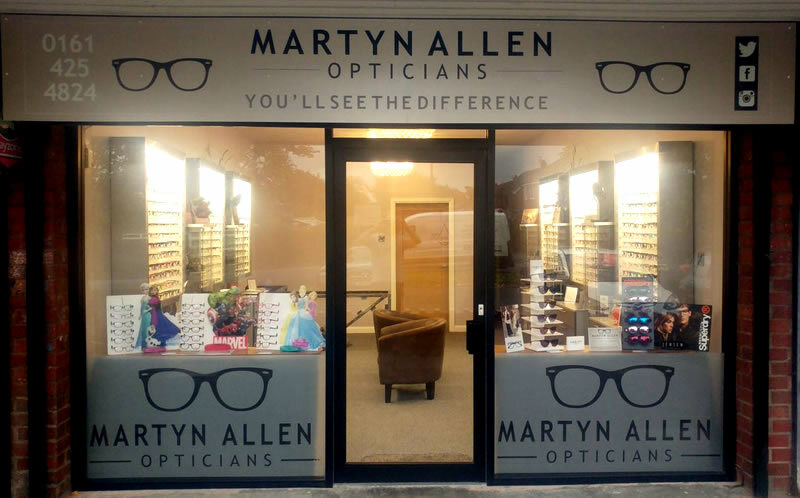 Martyn Allen Opticians is an independently-owned practice in the heart of Radcliffe. Following it’s opening in October 2017, it quickly became popular with the local residents due to its excellent customer service, unique eyewear choices and it’s convenient location. Customer satisfaction, clinical excellence and quality eyewear is at the forefront of what we do best. Close to the large residential areas of Moss Shaw Way, St. Andrews, Bradley Fold, Cams Lane, Bolton Rd Estate and Ainsworth Rd, it has its own parking making it perfect for customers to visit. The interior styling of the practice is designed to enhance the experience for the client, displaying the exclusive collections of eyewear at their very best. We have made the practice both welcoming and practical, to ensure clients feel comfortable and relaxed at every visit. There’s something for everybody at Martyn Allen Opticians, from designer eyewear to budget fashion, from children’s styles to image conscious teens. Call in soon and see what we have to offer. Make an appointment, or ask any questions you may have – we are here to help you!